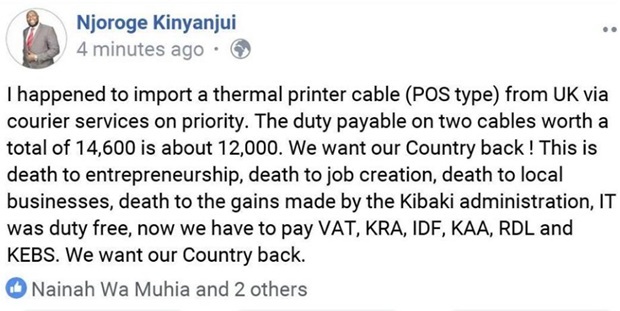 Wednesday, April 17, 2019 - According to this guy called Kinyanjui, he imported two to thermal printer cables worth Ksh 14,600 from UK and the amount of duty that he paid shocked him. He paid a duty of Ksh 12,000 for the two cables worth Ksh 14,600. Majority of Kenyan businessmen have been complaining of high taxation when importing goods. 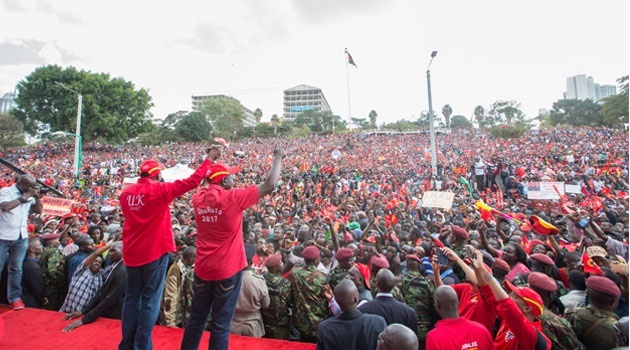 Recently, businessmen in Eastleigh closed their shops and took to the streets, accusing KRA of high taxation.